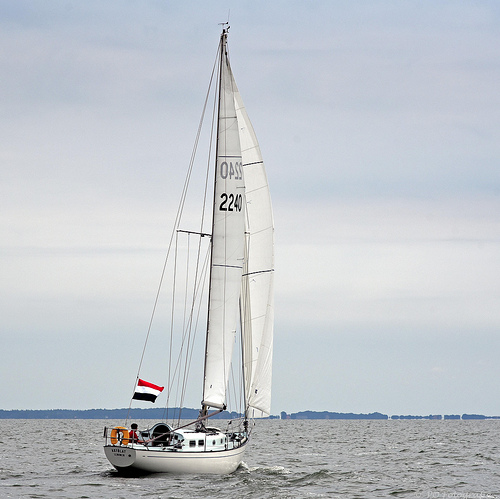 Very happy with this photo, taken during last summer on the IJsselmeer by Sailmate. This entry was posted in Sailing on January 18, 2019 by admin. While searching on the internet, I came accross a picture of a very nice half model of the Gallant 53, apparently part of the dutch National Maritime Museum its ‘van de Stadt’ collection. The attached plate says ‘ALAUNT of CORFE’, Gallant 53, Winner Lloyd’s Yacht Trophy 1968, Southern Ocean Shipyard LTD England. In 1967 the Gallant was awarded the Lloyd’s Register of Shipping 1968 Yacht Trophy for outstanding design, performance and craftsmanship. This entry was posted in van de Stadt on January 20, 2018 by admin. The late Alan Bourdon was former employee of Tyler Boats and S.O.S. in Poole. Later he became a Yacht Broker specialising in Van de Stadt designs including Excalibur 36. 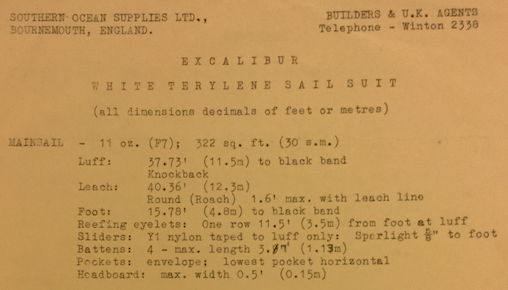 Each of his Excalibur sales brochures contained an introduction to the Excalibur design. 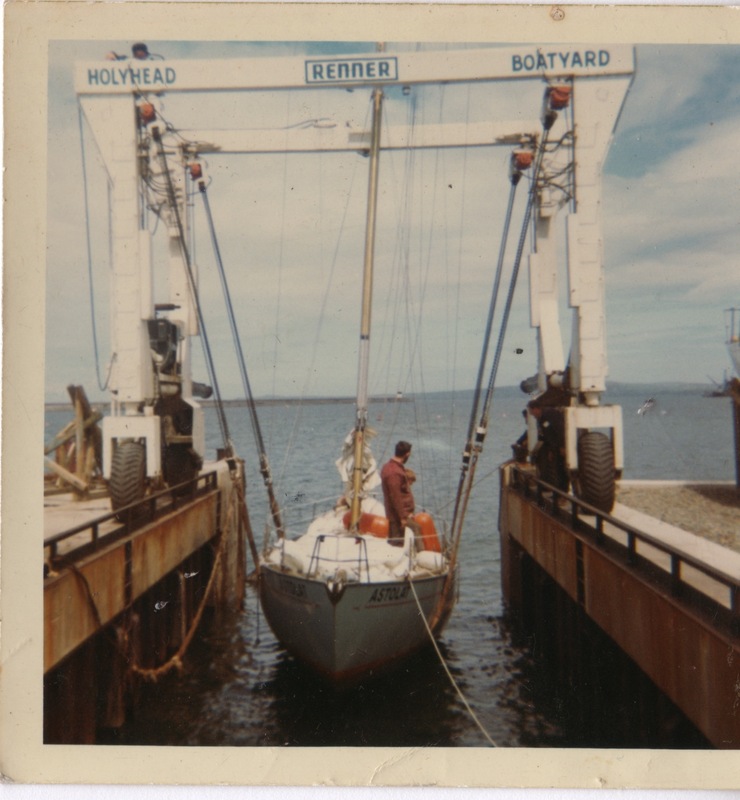 Thanks to Peter Lawless, owner of ‘Spingo’, copies of the original documents containing the sail measurements by Southern Ocean Supplies have been added to this site. Before I bought Astolat in 1996, I got inspired by articles published in magazines like for instance Waterkampioen (Dutch) and Yachting Monthly. 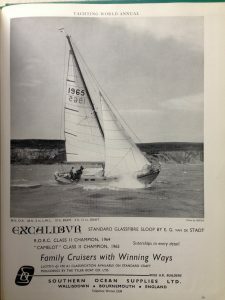 Two articles from YM are found on this website and cover stories about Bill Perkes and his Excalibur 36 ‘Sherpa Bill’. 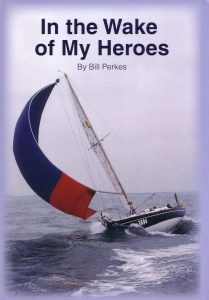 Bill has passed away in 2006 and the adventures he made, inspired by his heroes have been written down in a book with the title “In the Wake of My Heroes’. This book has been published privately by his family and is dedicated to the memory of Bill, 2007. The book can be bought by contacting his daughter Fiona, see the link above. This entry was posted in Books on September 25, 2016 by admin. A second SOS advert has been added. 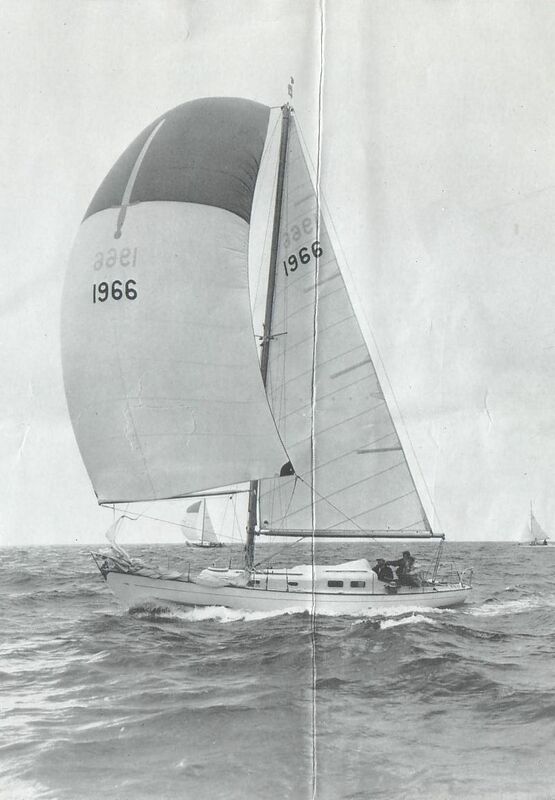 This one is from the Yachting World annual 1965 and has been made available by Steve Booth, owner of ‘INO’. It mentions the R.O.R.C. Class II champions of 1963 and 1964. This entry was posted in Media on May 25, 2016 by admin. Thanks to first owner’s stepson Dr John Powell, a couple of great photos from the early period of Astolat have become available. 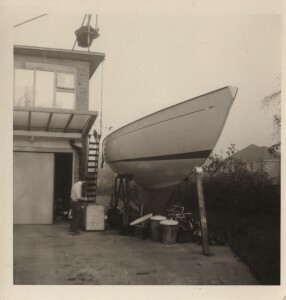 First owner Bernard Buxton bought the new hull from Tyler and fitted it out in his garden in Manchester. 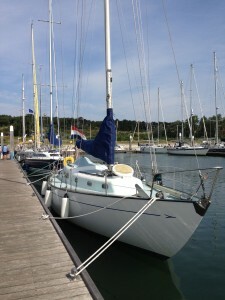 After completion she was moored in Anglesey where she has been used for many holidays. Astolat was registered in 1970. Astolat being lifted out of the water at Holyhead Boatyard in about 1971. The picture shows the original hull colour of the pale blue gelcoat. Astolat was sold in 1972. Thanks to UK – De Vries Sails, Makkum an original brochure has been made available for scanning. These scans replace the old scans of the brochure. This entry was posted in Media on October 2, 2014 by admin. 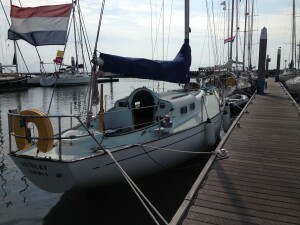 Astolat in the marina of Terschelling. This entry was posted in Sailing on September 6, 2013 by admin.